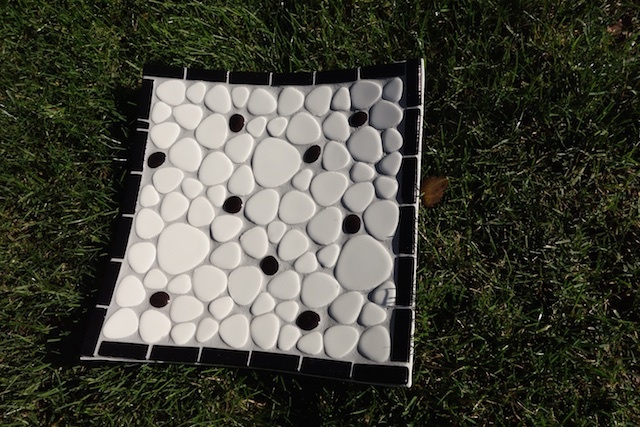 Unique, handcrafted, colourful mosaics on bowls, pots, mirrors and more. It is now 4 years since my first foray in to the world of arts and crafts as a bit of mosaic madness took over in 2014. 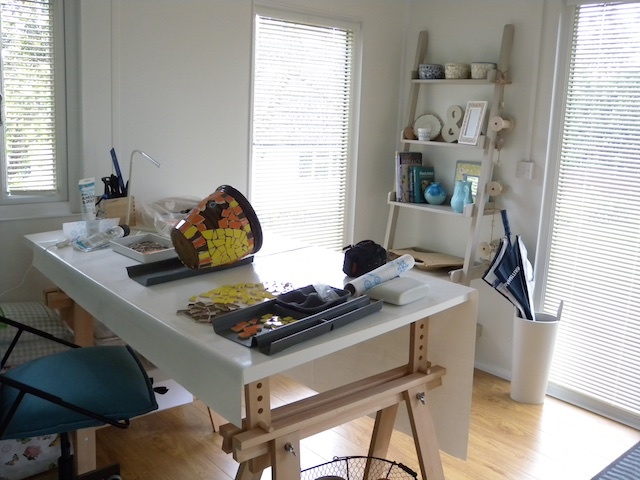 After the occasional dabble at mosaics, I suddenly found myself with the time at last to take things a step further - well in fact a few steps - away from the kitchen table, up the garden path, and into "the hut" - also known as Studio28! All very different from anything I had done before and I know I am lucky to have the freedom to spend time on activities I enjoy, and appreciate that on a daily basis - whether I am in the studio working on a mosaic, walking in the lovely Sussex countryside, or mucking out donkeys! 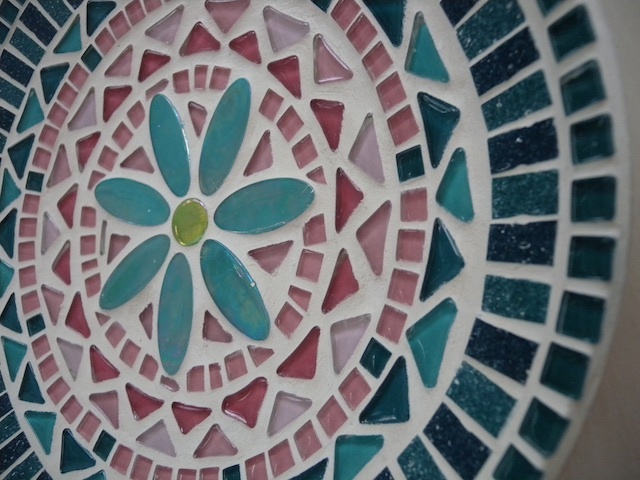 Designing and making mosaics brings a great deal of satisfaction with it from tracking down the materials through to the final swipe of the sponge over the grout, and in these days when we are reminded to be more mindful - it certainly keeps you "in the moment" . 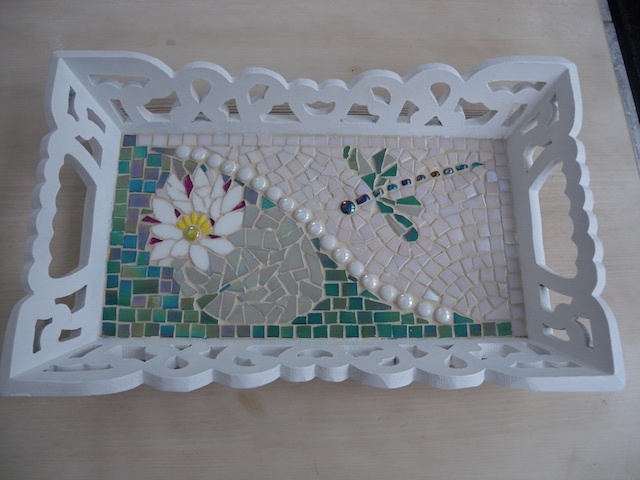 My work is varied, ranging from "pique assiette" pots using vintage china, to mirrors with mixed mosaic materials, to the classic cut tile pieces placed to form a picture such as the dragonfly and waterlily tray shown above, and for those who like a more contemporary look some simple dishes such as the monochrome square below. R Myles Copyright All rights reserved 2019.